SAN FRANCISCO (KGO) -- There is growing concern at a San Francisco park after a woman said her dog was eaten by a coyote. 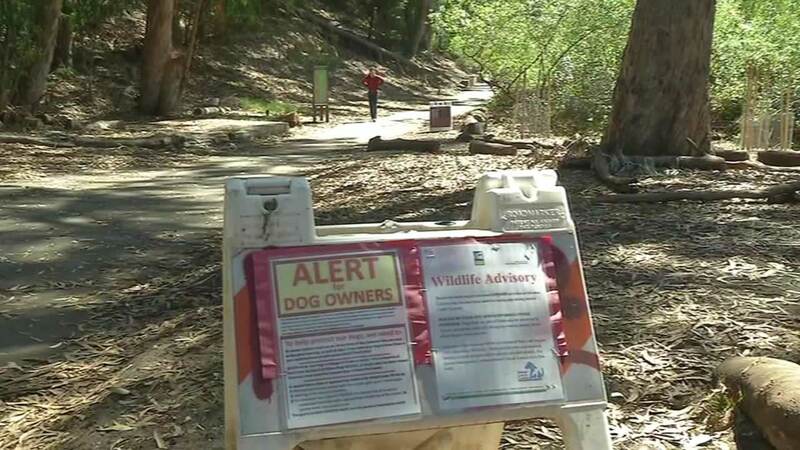 The incident happened Thursday at Stern Grove near the Pine Lake Area. According to a Facebook post by Peggy Lo, she was walking her dog Buster, who was off leash. Lo says Buster was sniffing around a hill when he was attacked by a coyote. The 7-pound dog was carried away by the animal. There are many signs in the area warning dog owners of coyotes. "They're wild animals. And they are going to behave as wild animals do. You can't stop them from doing that. But at the same time, we've got to exist peacefully with them," dog owner Sarah Glover said. The question is how to do that. Officials from San Francisco's Animal Control and Rec and Parks met Friday to look at ways of reducing the danger. They say coyotes may be attracted to Stern Grove because they can easily find food left by picnickers.